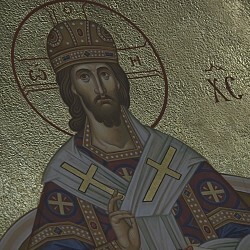 Concelebrating with His Eminence were the Dean of the Northern Deanery Archpriest Alex Kotar, Rector of Saint Martin the Merciful Church Archpriest James Baglien (Corvallis), Priest Sergei Sveshnikov, Rector of Holy New Martyrs of Russia Church Priest Alexander Revyuk, Deacons Vladimir Nazarenko and Alexei Dokuchaev, and Hierodeacon Peter (Karakozoff). 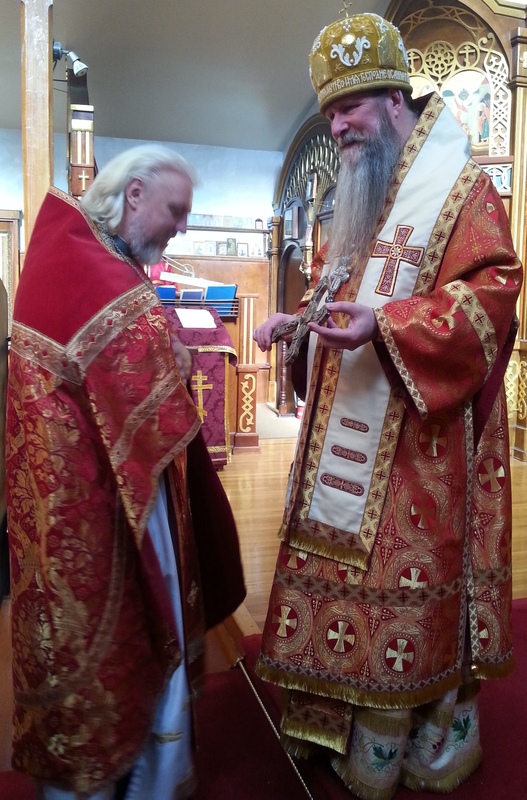 During the Festal Divine Liturgy Deacon Alexei Dokuchaev was blessed by Archbishop Kyrill with the dignity of wearing the Double Orarion for his zealous and conscientious Service to the Holy Church. 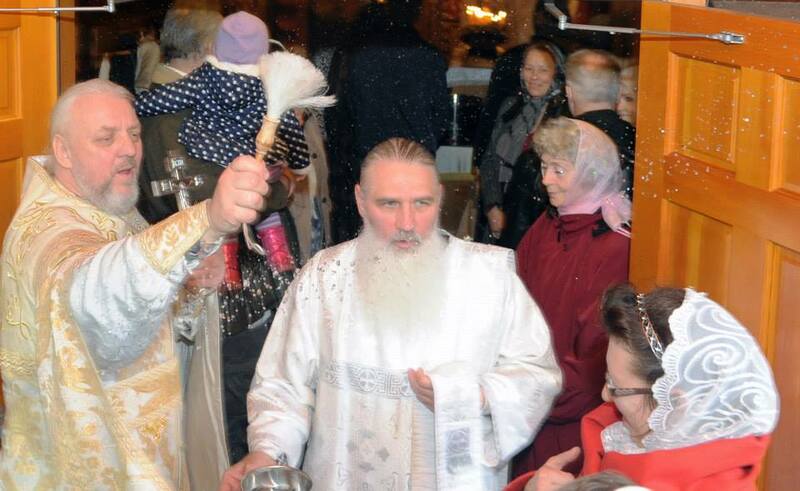 After Divine Liturgy His Eminence congratulated all of those present and spoke warm words of gratitude to Priest Sergei Sveshnikov for his many years of service and pastoral labors as Rector of Holy New Martyrs of Russia Church, which he is leaving for the Chicago and Mid-West Diocese. 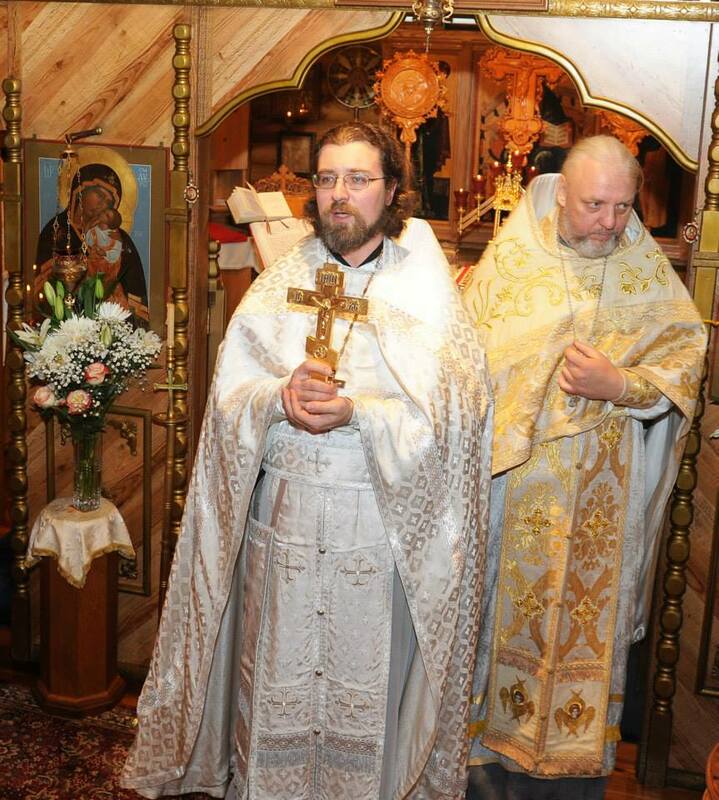 As a sign of acknowledgement and love on behalf of the parishioners, Vladyka blessed Father Sergei with a hand-written icon of the “Resurrection of Christ.” “Many Years were sung for our Archpastor. After the Divine Service everyone present was invited to a festal meal in the parish hall.